Beautiful colors! Gorgeous simply stunning rolling fire flash pattern. This stone just lights up with beautiful red-orange fire, the colors just 'roll' across the face of the opal! 4.5 out of 5 in brightness, very bright! It's N6 in body tone! Looks great under any light! It would make an amazing ring or pendant! 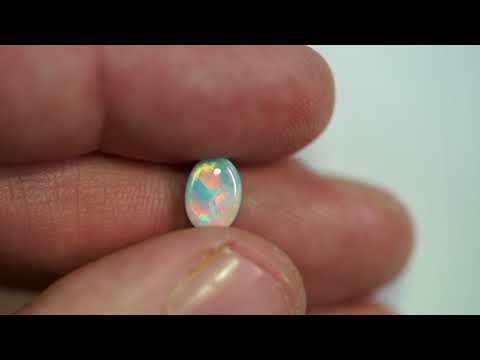 You won't find a better opal at this price!! * The size of the stone is 9 x 6.2 mm. * The weight of the stone is 1.30 ct.
Don't miss out on this truly beautiful solid semi-black opal! BUY WITH CONFIDENCE! I HAVE 100% POSITIVE FEEDBACK RATING. I am an honest seller.